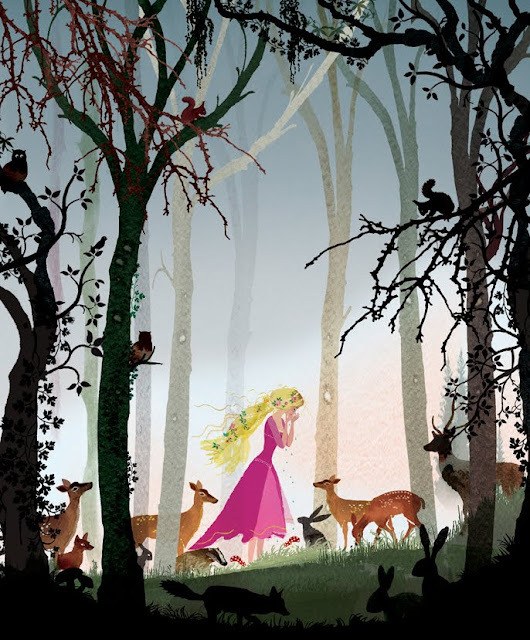 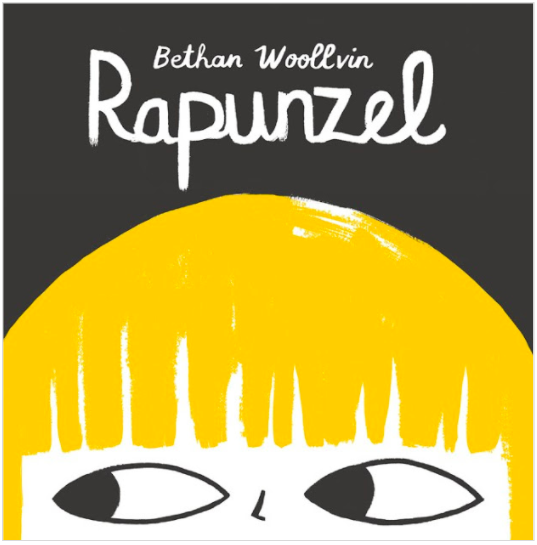 Once again, Bethan strikes gold with this hilariously fractured retelling of the "Rapunzel" fairytale. 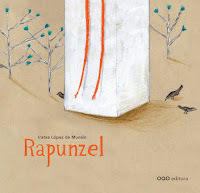 No matter what the old witch threatens, Rapunzel keeps her cool, calmly waiting for the moment when she can escape. 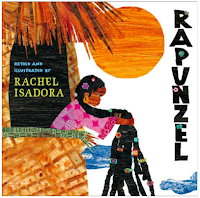 Far from a damsel in distress, nothing scares this little girl, and she uses her solitude to her advantage to craft a way of leaving the tower and enacting her revenge. 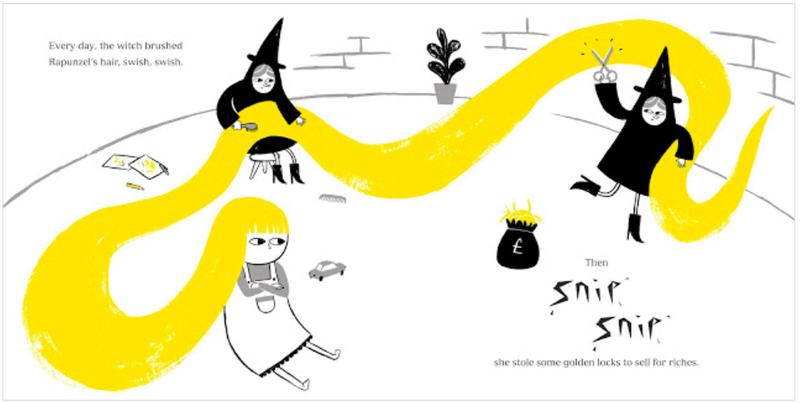 The screen-printed illustrations stay within a black-gray-white range with only yellow as a focal color, so the tone of the book is always bright (when it's not outright laugh-out-loud funny). 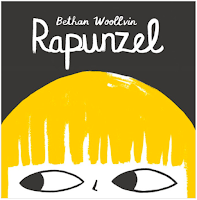 You can check out my interview with Bethan Woollvin here. 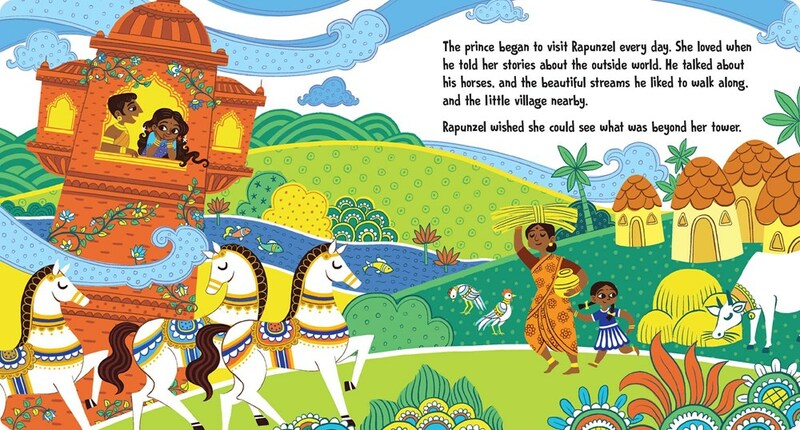 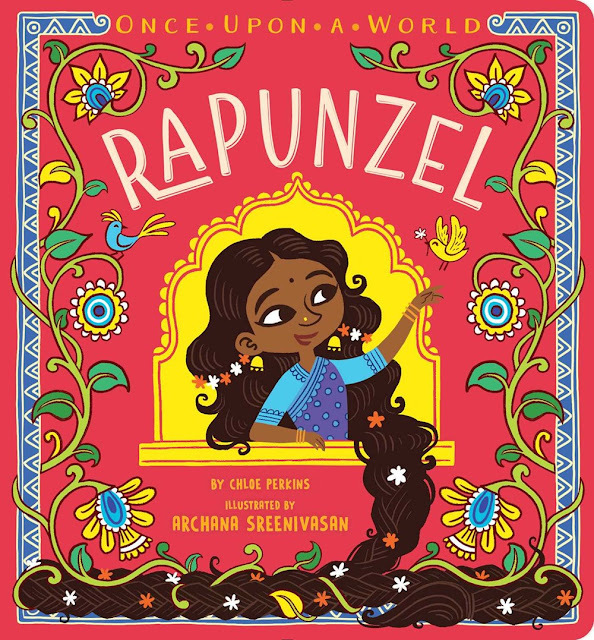 Set in the colorful world of India, this version of "Rapunzel" takes readers through a fairly traditional retelling of the story. 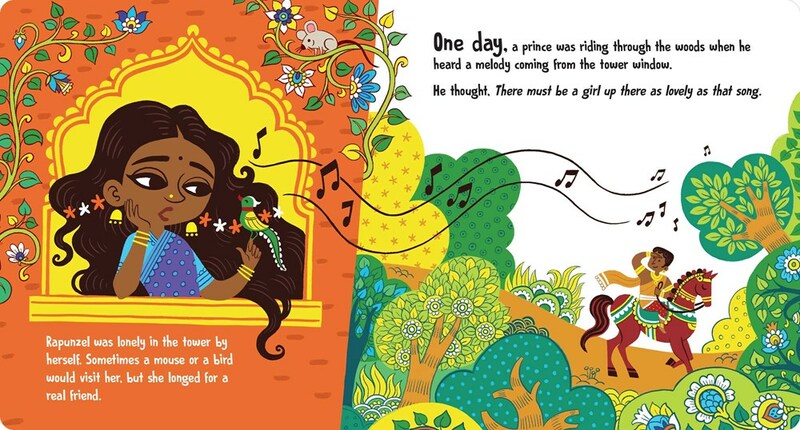 It's a board book so it serves the retelling well, focusing on the major highlights of the story and allowing the illustrations to do a lot of the talking. Which is a huge plus because the illustrations are beautiful and give readers a fantastic window into Indian fairytale illustration. 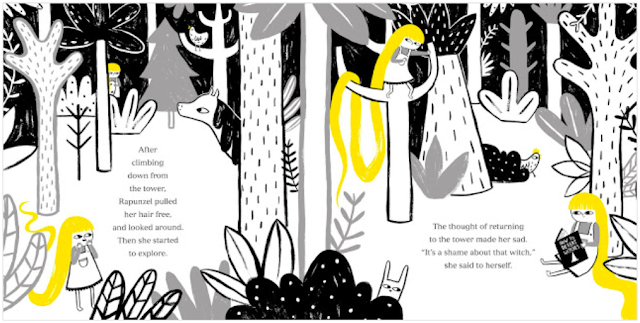 This version of the story is much wordier than the others, so there's lots of room for Sarah to pick and choose which moments she wants to illustrate. 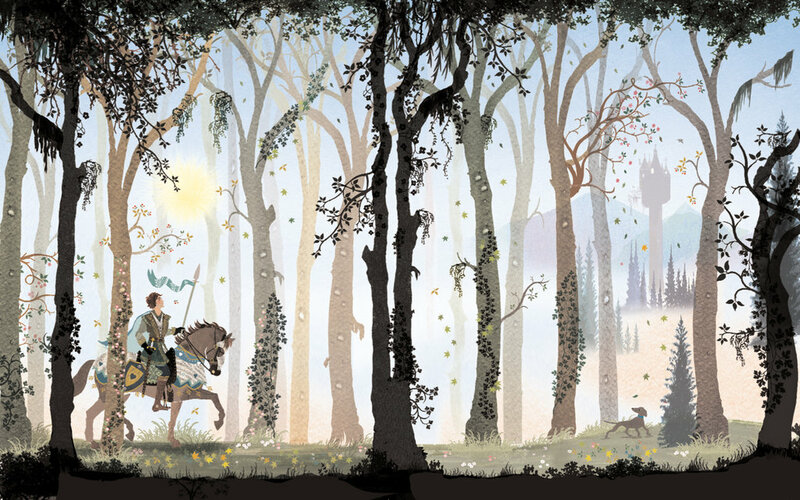 The illustrations range from bright and floral to silhouetted figures and shadows, and many of the illustrations are designed around the text, giving the book a very ornate and decorative feel. 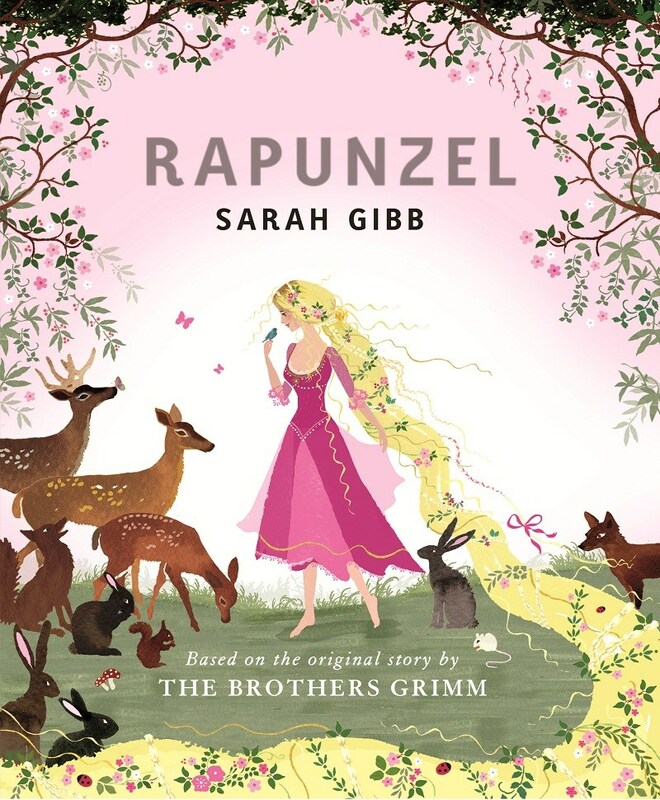 It has a really pretty case cover / dust jacket combo, too! Rachel Isadora's interpretation of the story barely makes the ten-year cut-off, but I'm so glad that it does because it's so lovely. 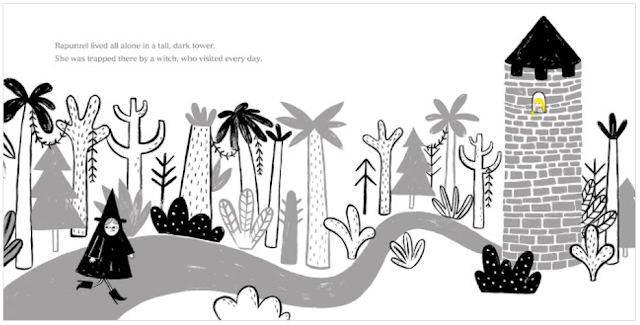 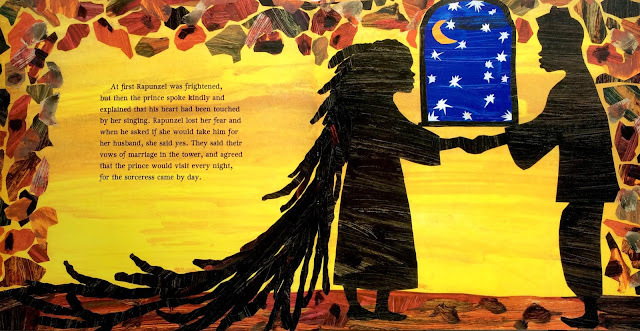 Rachel's version takes us to Africa for a story filled with Rapunzel's long, black dreadlocks, a prince's zebra, and a desert setting that allows for vibrant colors full of textures and patterns. This version tells the story in its entirety, from Rapunzel being taken as a baby to Rapunzel becoming pregnant, to the blind prince being cured by Rapunzel's tears. The illustrations are perfectly illustrative of the text and convey tone in an unparalleled way. 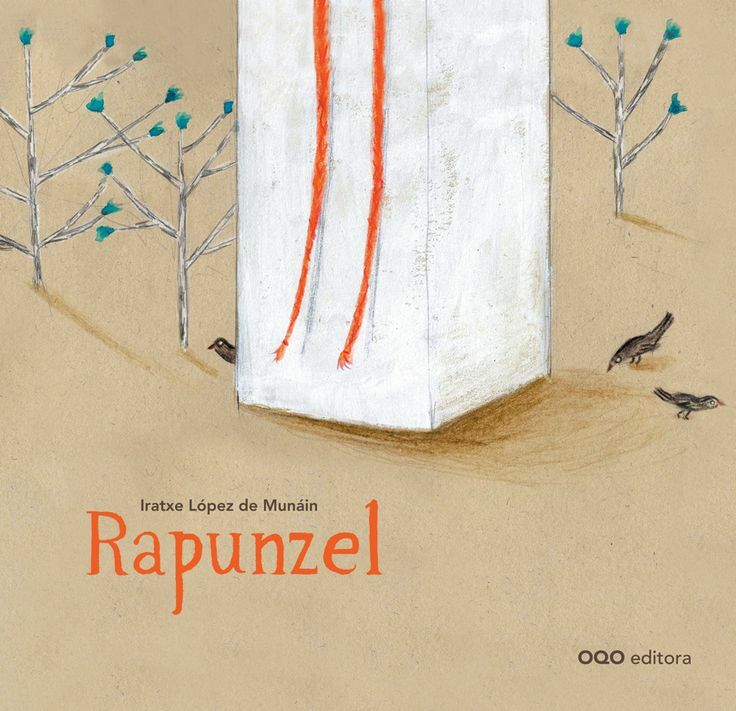 Rapunzel and the prince are very much children in this version, no older than twelve, so the two talk about traveling and their dreams, and they actively decide together to help her gain her freedom. 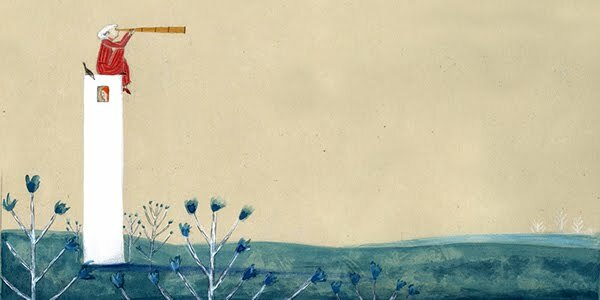 Iratxe leaves lots of room for visual interpretation, preferring to focus more on evoking tone, emotion, and space in her illustrations and leaving the bits that need to be literal to the text. 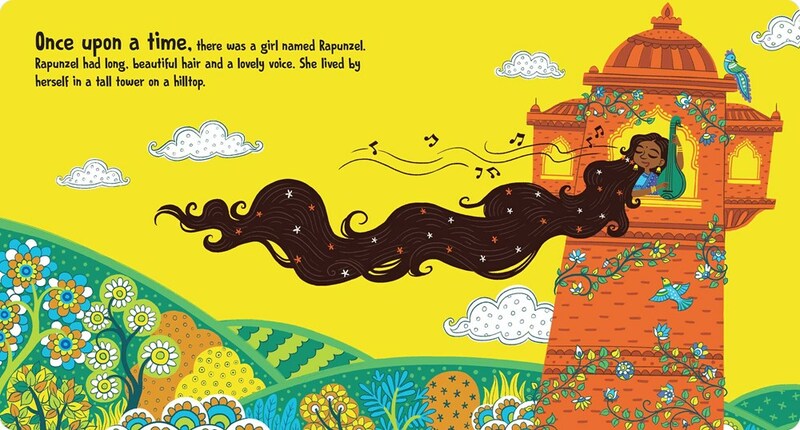 But, of course, my favorite detail is the complementary colors! 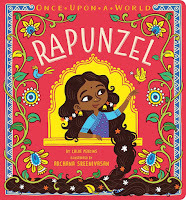 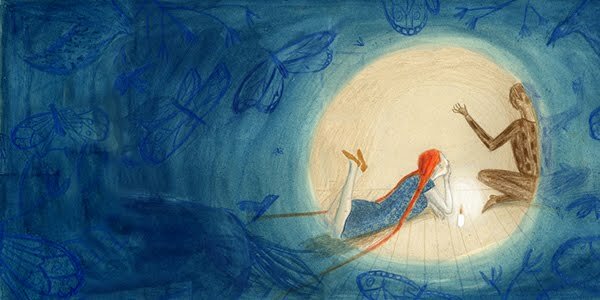 Rapunzel is a red-head (aka orange hair) wearing a blue dress, and there's an incredibly scene that I won't spoil in the later part of the book where the blue takes on a life of its own. 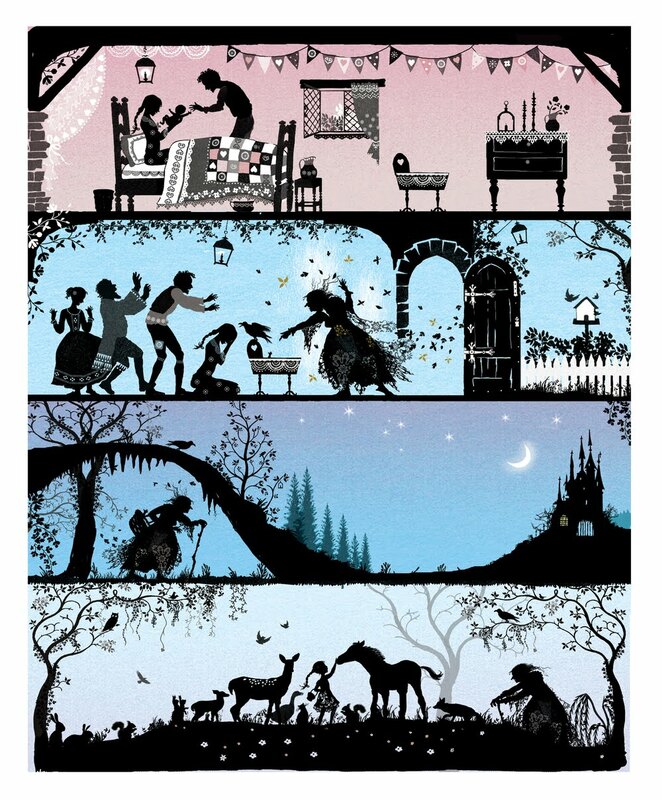 It's pretty perfect.